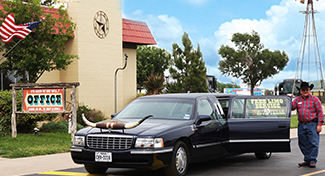 We readily admit that the Big Texan looks like a quintessential tourist trap with its towering cowboy signage, its long horned limousine and its 72-ounce steak challenge. However, with a raving fan on the Marathon team, we hear their from-scratch menu and their ample photo opportunities are a can’t-miss experience. Whether you go in the morning for a Texas-sized breakfast (Miki recommends the Grand Buffet that has everything you’d expect plus some tasty enchiladas) or stop in for a light snack of Howlers (deep fried jalapenos) and sweet tea, you’re going to leave satisfied. After your meal, perfect your Texas saunter on the way to the fudge counter, gift shop, bar or arcade. If you’re traveling with some shorter furry family members, let them stretch their legs in the enclosed dog park. We know some of you travel with horses. 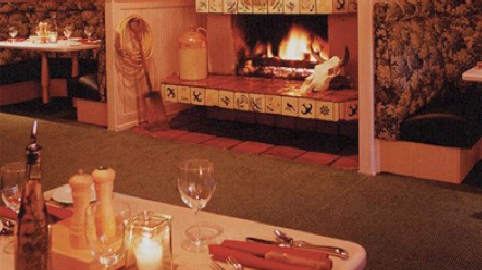 Let them stretch at the complimentary Horse Motel while you dine. If you’re looking for an overnighter, we hear they just opened up the Amarillo Ranch RV Park. If you’re looking for a good stretch, a game of mini-golf (they have two championship miniature golf courses featuring 18 holes each), video arcade, reptile lagoon or shopping center, this highway truck stop has you covered. Good for an overnight stop, they also feature a 100-site campground with full hook-ups. 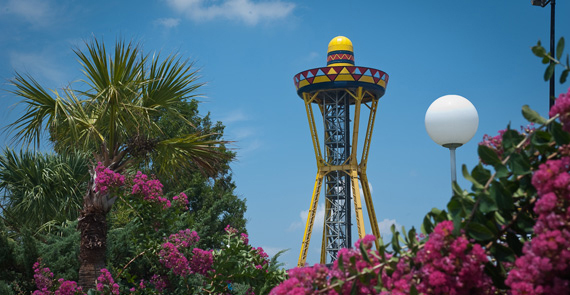 For just a dollar, you can go to the top of the 200-foot Sombrero Observation Tower for a great view and photo opp. Right off I-5, between San Francisco and Los Angeles, we hear you’ll find ample parking and excellent food at the Harris Ranch Inn & Restaurant, adjacent to the Harris Ranch Airport. It’s so popular, in fact, it has its own runway just to serve the establishment. Meals are not only made from scratch, but many of the ingredients are harvested locally – very locally. 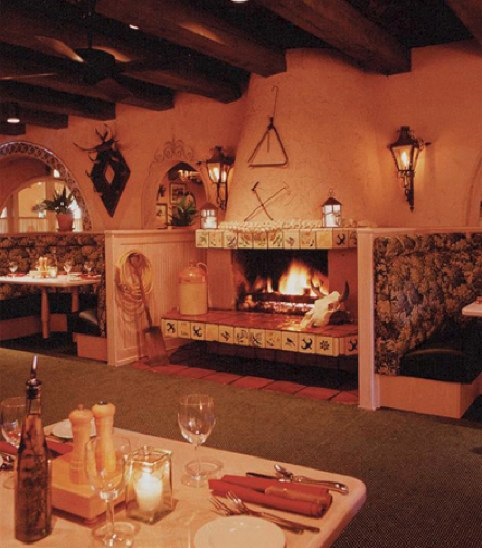 Boasting their own “Homegrown Harris Ranch Restaurant Reserve Beef,” they also grow their own herbs. Almonds, garlic, pistachios, pomegranates and yams come from their backyard as the Harris family has been farming for over 100 years. Be sure to save some room for desert as their pies, cakes and pastries are made on-site from scratch daily. 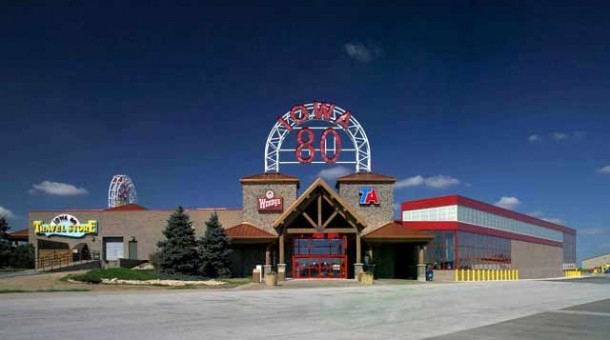 The World’s Largest Truck Stop, you’ll find a dentist, a barber shop, chiropractor, movie theatre, workout room, laundry facilities, food court, convenience store, custom embroidery and vinyl shop, pet wash, trucking museum, 300-seat restaurant with 50-foot salad bar and more. Easy to get to, easy to park, Iowa 80 has plenty to offer. Relocated from southeast Missouri to our little oasis in Oregon, one of Marathon’s own tells us that Lambert’s Café is loved by locals and tourists alike. 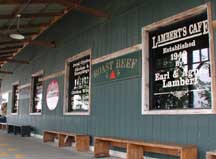 Known for its down home food, generous portions and its “throwed” rolls, Lambert’s provides not only a hearty meal, but also an experience. Servers, some with a history of pitching baseball, throw steaming hot, buttery rolls across the restaurant to waiting patrons. Although this is reason enough to stop, it gets better. Be sure to come hungry because not only does your meal come with a generous main course and two or three sides, and we do mean generous, it also comes with unlimited “pass arounds.” Servers come to your table with pots and kettles to serve the likes of macaroni and tomatoes, fried potatoes and onions, black-eyed peas, fried okra, apple butter and hot rolls and sorghum. Our assistant marketing manager endorses the chef salad in a bread bowl she claims is as big as her head. She also recommends the from-scratch chicken and dumplings as well as the fried catfish. However, with offerings such as ribeye steak, meatloaf, BBQ pulled pork sandwich and hog jowl, you really can’t go wrong. One word of warning, they don’t take credit or debit cards; they do, however, accept checks and cash. Have a favorite stop along the highways and byways of America? Be sure to share in the blog comment section, Facebook, Twitter, Pinterest or Google+.